Third party contact center reporting enhances the ACD's reporting capabilities and provides the contact center a solution to integrate application data into summary reports. The raw data from the ACD on many different metrics and application data from sources such as CRM and WFM are easily integrated using 3rd party reporting. However, the ACD has limitations which prevent the customer from seeing the data in the form and format required. It is these limitations that makes third party reporting important to the Contact Center. Data can be output to a variety of devices. The ACD is limited in what it can do for the contact center. Medium to enterprise contact centers have tremendous volumes of data that need to be consolidated, manipulated and summarized into real time integrated reports. 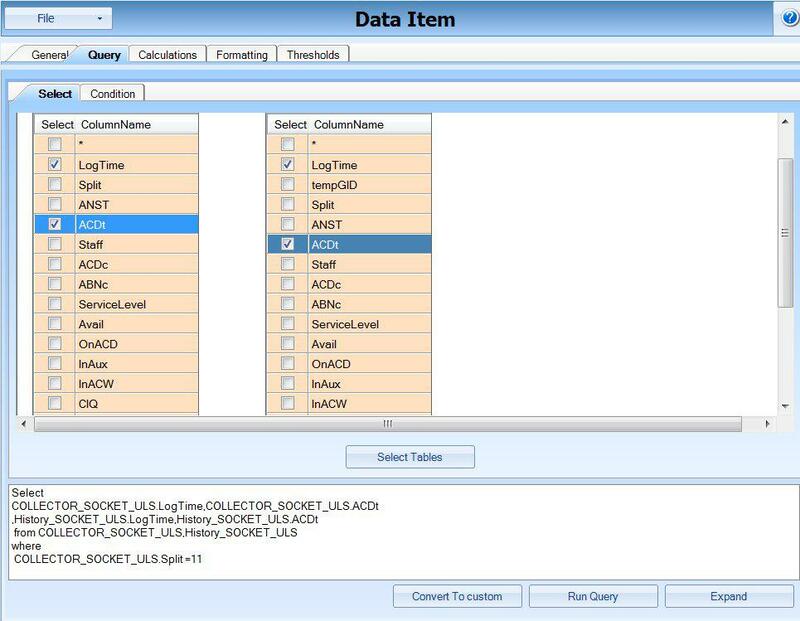 The ACD data is captured in its rawest form and staged in a separate SQL database. 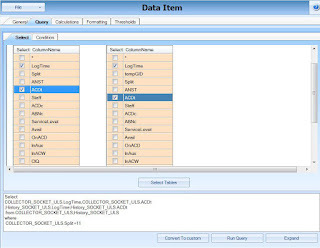 From this database using standard SQL syntax the Spectrum reporting solution builds reports for the contact center that meets their unique needs. An Avaya example: An enterprise multinational contact center with multiple CMS's and ACD's requires reporting showing the summary data from certain split skills from all of the CMS's and ACD's. By utilizing Spectrum reporting the data is captured and summarized outside of the CMS's and built into reports that meets the customer's requirements. Contact centers calculate metrics differently than what the standard report provides. Average handle time, occupancy, service level are just a few examples of metrics and KPI's that a contact center might calculate differently from the method the ACD uses. By utilizing a third party reporting solution the contact center is able to see the metrics and KPI's the way they preferred. Reporting for a contact center is rarely limited to the ACD. Agents, Managers, Team Leaders and Senior Management need to see summary reports from multiple sources and not just the ACD. Third party reporting provides this functionality while ACD reporting does not. The most requested external data sources include WFM, CRM, Multi Channel content (Email, Chat) and custom in house databases built by the customer. Over 80% of Spectrum customers have data from another source consolidated, integrated and summarized with their ACD data. Having Spectrum do the reporting saves the company considerable time and money. Third party reporting also allows the customer to seamlessly migrate from one ACD platform to another without losing the reporting the call center is used to seeing. Possibly the contact center is migrating from one ACD vendor to another. During the transition the center has two ACD's in use but needs to see the data as a total or summary. Third party reporting makes this possible. In some cases the data that the contact center is used to seeing is no longer available with the new ACD. Using the third party solution these KPI's can be recreated. Many ACD's are pushed very hard by the customer. Customers request many reports from their ACD and each report requested and run alters the performance of the ACD. In some cases if the queue of reports requested gets to be too large the ACD will stop all requests, clear the requests and restart the processes. When this happens the ACD is being worked very hard possibly too hard. By off loading some of the reporting to a third party reporting system the ACD workload can be reduced. LCD screens, Desktops, Dashboards, Web Based Reports, Email, Wallboards and smart phones. Some ACD's provide LCD screen output or dashboards or desktops. However these tools are limited to the data that they capture which is strictly ACD data. Third party reporting integrates data from multiple sources creating customer specific reporting. Third party reporting is a justifiable solution for call centers because it provides a solution that is not available from the ACD, it reduces the workload on the ACD allowing the ACD to perform at a higher level, custom KPI's and Metrics can be created and many visual display options are available for the contact center. Spectrum is a leading provider of Unified Contact Center Reporting. Contact Spectrum today to learn more about third party reporting solutions.